Periods. You should really let them take over your life more than they already do, gals. We're kidding, we're kidding. But please do think about them for the next two minutes as you read about the new smart menstrual cup - yep - from Loon Lab that's doing quite nicely over on Kickstarter. 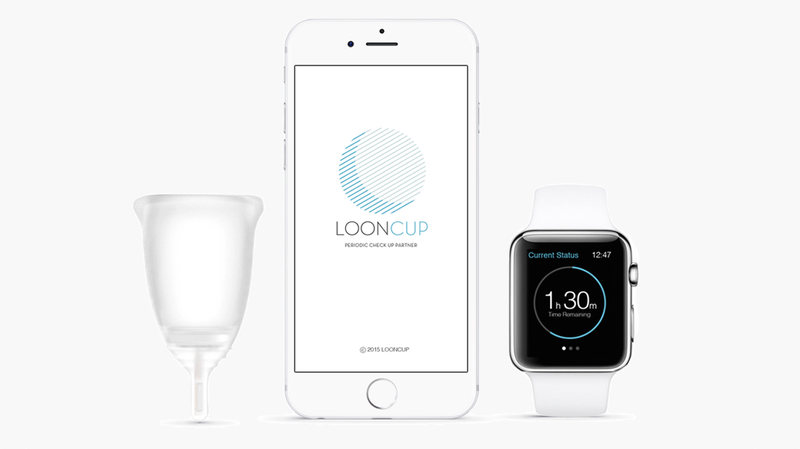 The Looncup, a techy alternative to tampons, lets you know when you're due to start your period as well as help you with that all important cup maintenance with alerts when it's 50% and 70% full. It also tracks and analyses how healthy your periods are. It shows month to month trends in your menstruation volume levels and also measures colour variations with an RGB sensor. The Looncup will know if you are stressed or need more sleep and can alert users to see their GP if its readings indicate health problems. In future, specialised Looncups could track the glucose levels of people suffering from diabetes, cholesterol levels and also hemoglobin levels for people with anaemia. Made from medical grade, hypoallergenic silicone, the battery life is six months and that's just one of the advantages over tampons and pads that Loon Lab points out. There's no toxins, chemicals or artificial fragrances, it's reusable and saves money plus it doesn't need to be changed as frequently throughout the day - every 12+ hours is the guideline. The smart cup is compatible with iPhone and Android and also has both Apple Watch and Android Wear apps in development which will show you current volume, colour and monthly period patterns. Shipping is set for January 2016 (to anywhere in the world) and the Looncup is still currently available for the early bird price of $35. The target is $50,000 and the campaign is about to tick over that so look out for stretch goals.